In 1994, hundreds of European artists, activists and pranksters adopted and shared the same identity. They all called themselves Luther Blissett and set to raising hell in the cultural industry. It was a five year plan. They worked together to tell the world a great story, create a legend, give birth to a new kind of folk hero. In January 2000, some of them regrouped as Wu Ming. The latter project, albeit more focused on literature and storytelling in the narrowest sense of the word, is no less radical than the old one. "Luther Blissett" is a multi-use name, an "open reputation" informally adopted and shared by hundreds of artists and social activists all over Europe since Summer 1994. For reasons that remain unknown, the name was borrowed from a 1980's British soccer player of Afro-Caribbean origins. In Italy, between 1994 and 1999, the so-called Luther Blissett Project (an organized network within the open community sharing the "Luther Blissett" identity) became an extremely popular phenomenon, managing to create a legend, the reputation of a folk hero. This Robin Hood of the information age waged a guerrilla warfare on the cultural industry, ran unorthodox solidarity campaigns for victims of censorship and repression and - above all - played elaborate media pranks as a form of art, always claiming responsibility and explaining what bugs they had exploited to plant a fake story. Blissett was active also in other countries, especially in Spain and Germany. December 1999 marked the end of the LBP's Five Year Plan. All the "veterans" committed a symbolic seppuku (samurai ritual suicide). The end of the LBP did not entail the end of the name, which keeps re-emerging in the cultural debate and is still a popular byline on the web. Luther Blissett's media hoaxes were crowded with imaginary artists, because the art world is crowded with gullible people and makes for a perfect target. January 1995. HARRY KIPPER, a British conceptual artist, disappears at the Italo-Yugoslavian border while touring Europe on a mountain bike, allegedly with the purpose of tracing the word 'ART' on the map of the continent. The victim of the prank is a famous missing persons prime time show on the Italian state television. They send out a crew and squander taxpayers' money to look for a person that never existed. They go as far as London and make fools of themselves until "Luther Blissett" claims responsibility for the hoax. June 1995. LOOTA is a female chimpanzee whose paintings are going to be exhibited at the Venice Biennale of Contemporary Arts. Formerly a victim of sadistic experiments in a pharmaceutical lab, Loota was saved by the Animal Liberation Front, then became a talented artist. Some newspapers announce the event. Unfortunately, Loota doesn't exist. No problem, disappointed visitors of the Biennale may turn their attention to a lot of garbage created by humans. 1998-99. DARKO MAVER is a controversial Serbian sculptor and performance artist. His works are life-size dummies looking very much like brutalized, maimed, blood-covered corpses. His art is the target of state censorship, and he's locked in a Serbian prison for anti-social conduct. In Italy, pictures of Maver's works are exhibited in Bologna and Rome. Prestigious, high-brow art magazines publish a solidarity appeal. Some respected critics even claim to know the artist personally. When "Darko Maver" dies in prison during a NATO bombing, pictures of the body appear on the web. Only, that man isn't "Darko" at all, he's a Sicilian member of the LBP. The truth is revealed a few weeks after the Seppuku. The "works" were pics of actual corpses, found on rotten.com. It's the last big hoax by the LBP, and the debut of a new group, 0100101110101101.org. 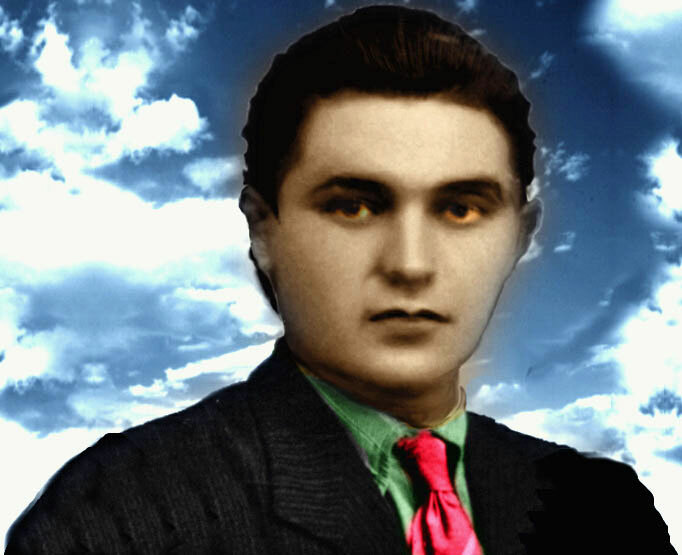 Luther Blissett's most complex prank was played by dozens of people in Latium, central Italy. It lasted a year, involving black masses, satanism, Christian witch-hunters in the backwoods of Viterbo and so on. The local and national media bought everything with no fact-checking at all, politicians jumped on the bandwagon of mass paranoia, there was even video footage of a (rather clumsy) satanic ritual being broadcast on tv, until Luther Blissett claimed responsibility for the whole racket and produced a huge mass of evidence. "Homoepathic counter-information": by injecting a strong dose of falsehood in the media, Luther Blissett showed the unprofessionality of most reporters and the groundlessness of moral panic. This happened in 1997. The hoax was praised and analyzed by scholars and media experts, and became a case study in several scientific texts. Do what is possible, and then move on. The novel Q was written by four Bologna-based members of the LBP as a final contribution to the project, and published in Italy in 1999. So far, it has been translated into English, Spanish, German, Dutch, French, Portuguese (Brazilian), Danish, Polish, Greek, and Korean. The novel is set in 16th century central Europe, during the peasant riots and popular rebellions that almost "hijacked" the Reformation, before suffering bloody repression with Luther's enthusiastic approval.